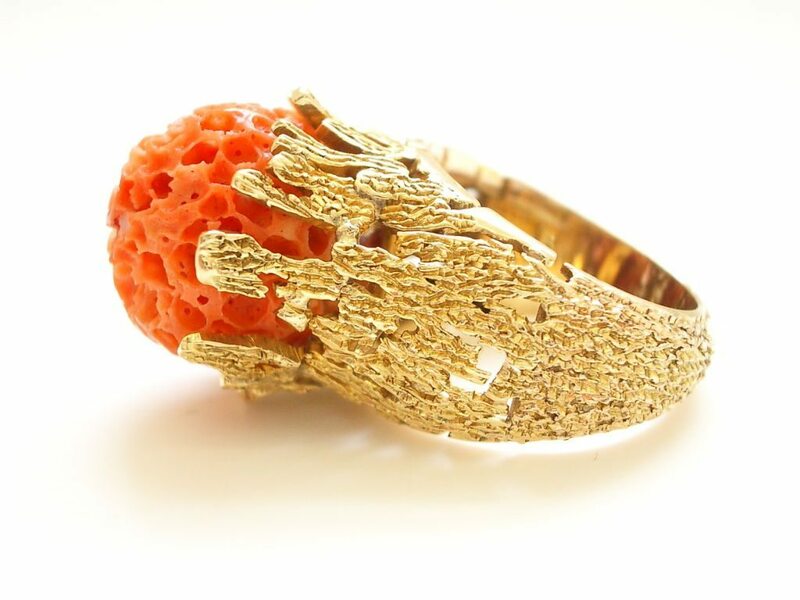 An interesting and unusual 18k yellow gold and natural coral ring. 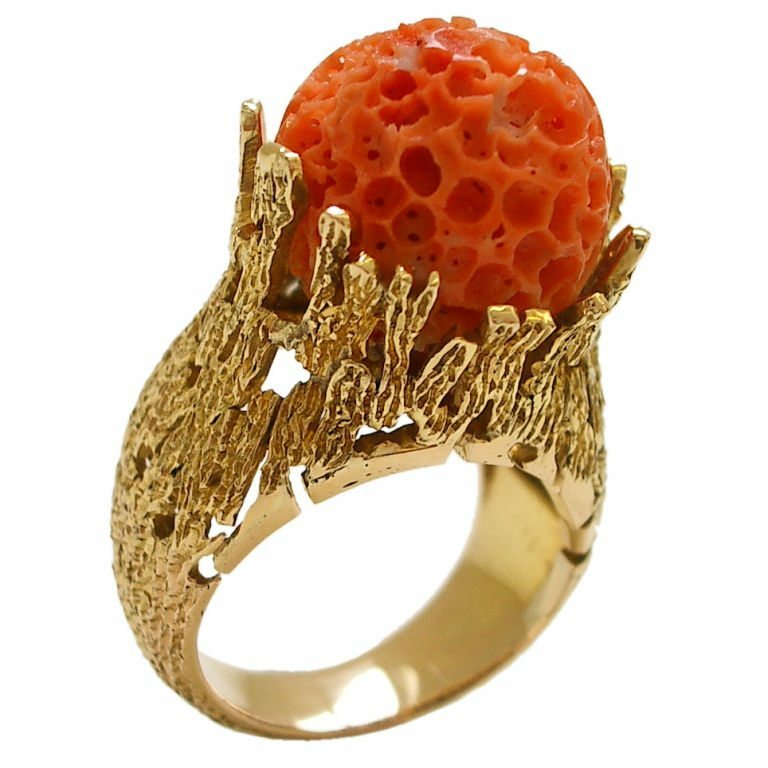 The free-formed textured ring reminiscent of a coral reef, holding a natural coral carved into the shape of a ball. 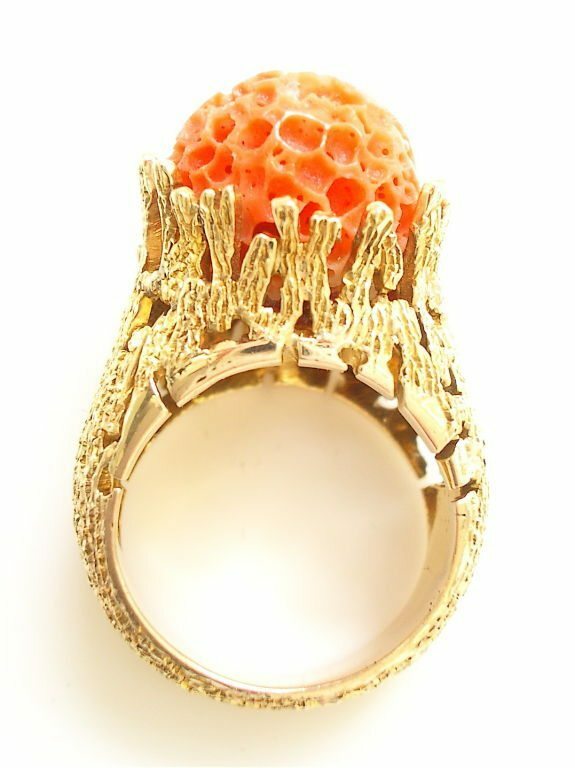 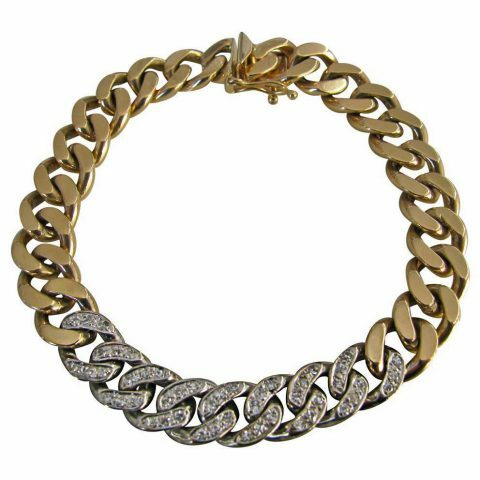 (height from finger to top of coral approx 5/8″) Stylish,fresh and unique. 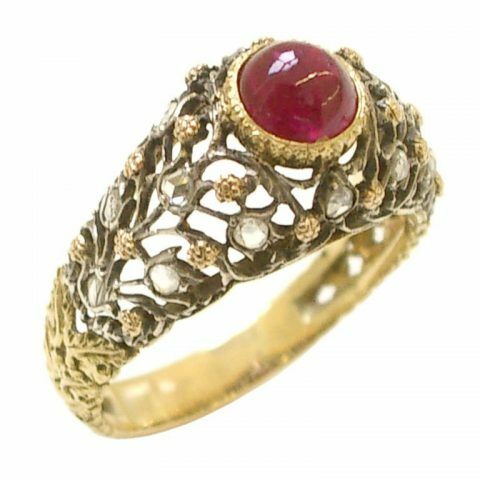 Size 5 3/4- 6.